They should be picked up tonight. 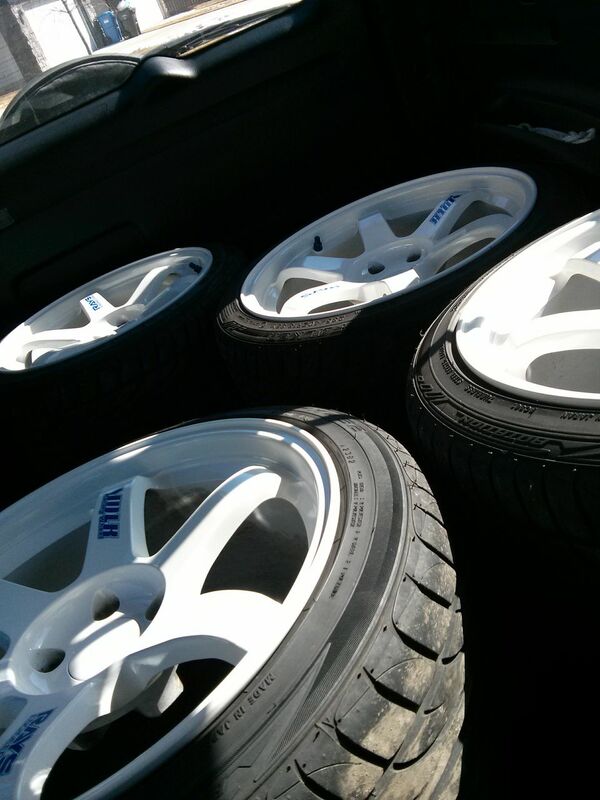 Now I need to get rid of the tires… If anyone local is interested – $200 takes ’em. 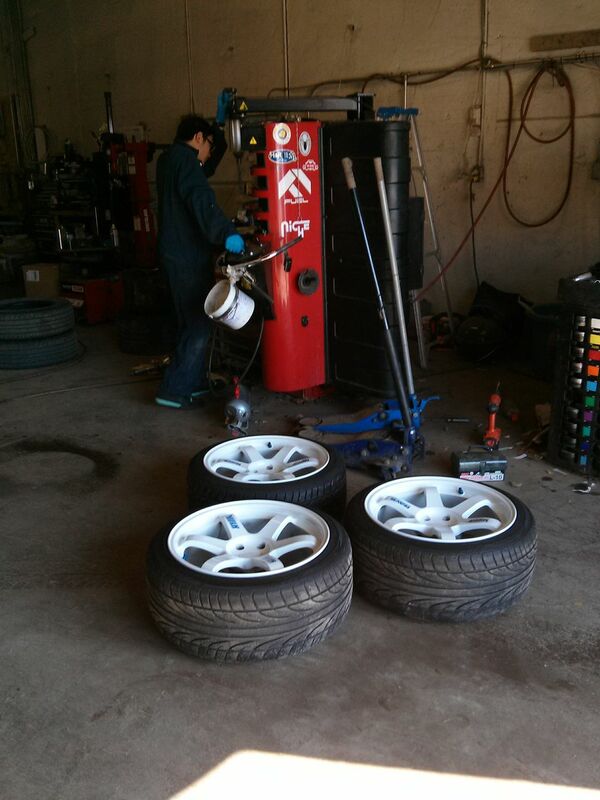 They are in pretty good condition, one of the tires has camber wear and should be flipped, but the other three are still fine for another season at the very least. Last time I’ll ever see ’em. Kenny taking the tires off. Huge thanks to Lorne and the guys at Urban X North for getting me in last minute!